Let me intro­duce you all to a phe­nom­i­nal web­site that I stum­bled upon called Aro­matic Health. “At Aro­matic Health, we prac­tice clin­i­cal aro­mather­apy and offer prod­ucts for health and well­ness, pre and post­par­tum heal­ing, nat­ural baby care and skin care. As the com­pany founder, I wanted to intro­duce and pro­mote the health ben­e­fits of essen­tial oils. Also, through­out my preg­nancy, I was for­mu­lat­ing prod­ucts for myself and felt that other women would ben­e­fit from the alter­na­tives avail­able for pre and post­par­tum healing. The word “aro­mather­apy” has become a mar­ket­ing buzz word and has been used for prod­ucts which may con­tain nat­ural or syn­thetic essen­tial oils, even in minute amounts. Aro­mather­apy, and the use of essen­tial oils, has many clin­i­cal appli­ca­tions. It is this aspect of aro­mather­apy that is our focus at AromaticHealth. With over ten years as a prac­tic­ing aro­mather­a­pist, I use my knowl­edge and expe­ri­ence to cre­ate essen­tial oil prod­ucts, and pro­vide con­sul­ta­tion ser­vices to aid in the heal­ing of the body, mind and spirit. At Aro­matic Health, all of our prod­ucts are hand made, using only pure and organic essen­tial oils and raw ingre­di­ents. Our prod­ucts are cru­elty free and do not con­tain syn­thetic fra­grances, parabens, petro­chem­i­cals or preservatives. All of these prod­ucts smell phe­nom­i­nal and work GREAT! I give a HUGE kudos to Aro­matic Health for their won­der­ful products!! The extremely kind and gen­er­ous folks over at Aro­matic Health has offered to give away to 1 Lucky Cool­Canucks reader the chance to win one prod­uct from their exten­sive line of their own choos­ing! You will cer­tainly not be dis­ap­pointed no mat­ter what you shall receive!! 1) First check out the Aro­matic Health web­site, and then come back here and tell me some­thing you would love to try! Fol­low @coolcanucks and @AromaticHealth_ on Twit­ter! Leave me your twit­ter name! Pur­chase any­thing from Aro­matic Health for the dura­tion of the give­away and get 10 extra entries!! Just tell me what it was in a comment! A HUGE Thank you to Aro­matic Health for host­ing this great Giveaway!! Non-greasy, light, and yummy potato chips are hard to find these days. Michael Season’s offers baked ver­sions of all the pop­u­lar chips and I can­not believe how rich in fla­vor they are for being baked and bet­ter for you!! Michael Season’s has been mak­ing qual­ity snacks since 1983 when an organic farmer, Michael Sea­son, decided he wanted his fam­ily to be able to eat qual­ity foods that were free of toxic chem­i­cals and addi­tives. Soon that Ore­gon farm became the largest nat­ural foods dis­tri­b­u­tion ship in the US and ever since Season’s prod­ucts has grown. I got to try an assort­ment of the Michael Season’s snacks and was overly impressed with the deli­cious taste! The pack­ages are very clearly labeled to help you make good snack­ing choices – the Potato Crisps are Low Fat with 70% less fat! And the Cheese Puffs? Reduced Fat with 65% less fat! YUMMY to boot!! Michael Season’s Lite Puffs & Curls, and Mexi-Snax fla­vored tor­tilla chips — Pico de Gallo, Sesame, Nacho & Salsa Picante were all won­der­ful, myself nor my fam­ily had ANY complaints!! Hooray for healthy snack­ing! I would highly rec­om­mend Michael Season’s to ANYONE!! Their prod­ucts ARE that great! The extremely kind and gen­er­ous folks over at Michael Season’s has offered to give away to 1 Lucky Cool­Canucks reader the chance to win the fol­low­ing prize pack! An organic T-Shirt, a reusable Tote, a chip-clip, PLUS all of the yummy chips that they sent me to review - Michael Season’s Lite Puffs & Curls, and Mexi-Snax fla­vored tor­tilla chips — Pico de Gallo, Sesame, Nacho & Salsa Picante. What a SWEET prize pack­age!! 1) First check out the Michael Season’s web­site, and then come back here and tell me some­thing you would love to try! Pur­chase any­thing from Michael Season’s for the dura­tion of the give­away and get 10 extra entries!! Just tell me what it was in a comment! 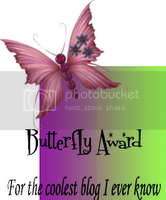 A HUGE Thank you to Michael Season’s for host­ing this great Giveaway!! What a ter­rific web­site I stum­bled upon, it is called Small Pota­toes. I was sent to review the “Leash Pack” which con­sists of a mit­ten leash — (No more los­ing mit­tens!! ), the binky leash (no more look­ing for their soothers! ), and the drinky leash (for those lit­tle sneaks who love to toss their sippy cups!) I was com­pletely impressed by all three of these leashes, what a God-send!! The extremely kind and gen­er­ous folks over at Small Pota­toes has offered to give away to 1 Lucky Cool­Canucks reader the same “Leash Pack­age” that I received to review in your very own choice of ribbons/fabric!! Sweet prize — you will LOVE IT!! 1) First check out the Small Pota­toes web­site, and then come back here and tell me some­thing you would love to have! Pur­chase any­thing from Small Pota­toes for the dura­tion of the give­away and get 10 extra entries!! Just tell me what it was in a comment! 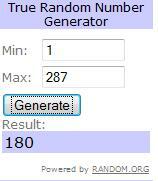 A HUGE Thank you to Small Pota­toes for host­ing this great Giveaway!! After find­ing this great web­site and all of the earth-friendly prod­ucts that they car­ried, I knew that I had to con­tact Lazy Dog Designs imme­di­ately to see if they wanted to par­tic­i­pate in a review and give­away at Cool­Canucks as to which they so hap­pily obliged!! I was ecsta­tic to say the least! “Lazy Dog Designs is a small, vegan, women owned busi­ness in the Santa Cruz moun­tains of California. We believe that it is impor­tant to pro­tect our envi­ron­ment, so we use Earth friendly mate­ri­als to man­u­fac­ture our prod­ucts. Hemp and organic cot­ton fab­rics offer the envi­ron­men­tal ben­e­fits as well as the desired feel and tex­ture. In order to find the sage color, we went with a hemp cot­ton blend grown in China. The plants are grown together with­out the use of pes­ti­cides or chem­i­cal fer­til­iz­ers, so even though the cot­ton is not cer­ti­fied organic, it is grown in an eco­log­i­cal method. We are assured that the farm and mill work­ers are paid and treated fairly. In keep­ing with our phi­los­o­phy, we use organic bat­ting and coconut shell but­tons. We use sus­tain­able kapok for our stan­dard pil­low inserts. Please con­tact us for cus­tom options. Lazy Dog Designs car­ries an exten­sive line of pil­lows, quilts, and Farmer’s Mar­ket Bags! Every­thing that they sell is so breath-takingly beautiful!! Lazy Dog Designs sent me this stun­ning Farmer’s Mar­ket Bag made of Hemp to review and I absolutely LOVE IT!! It is in the colour dark green. Isn’t that awe­some?? It is of great qual­ity, and extremely roomy. Not only am I impressed with this won­der­ful prod­uct, but the deliv­ery time from Lazy Dog Designs was out­stand­ing! I got this prod­uct in no time at all, and their prices are unbeat­able!! I totally rec­om­mend this great com­pany to everyone! What a great plea­sure it was to review Lazy Dog Designs products! The extremely kind and gen­er­ous folks over at Lazy Dog Designs has offered to give away to 1 lucky Cool­Canucks reader – The exact same Farmer’s Mar­ket Bag in Hemp that they sent me to review!! Believe me, you will be just as impressed as I am with this SWEET bag!! 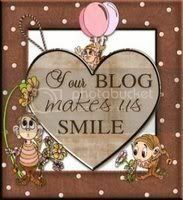 1) First check out the Lazy Dog Designs web­site, and then come back here and tell me some­thing you would love to have! 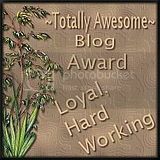 Pur­chase any­thing from Lazy Dog Designs for the dura­tion of the give­away and get 10 extra entries!! Just tell me what it was in a comment! 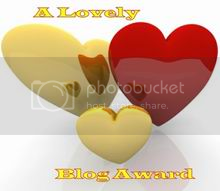 A HUGE Thank you to Lazy Dog Designs for host­ing this great Giveaway!! 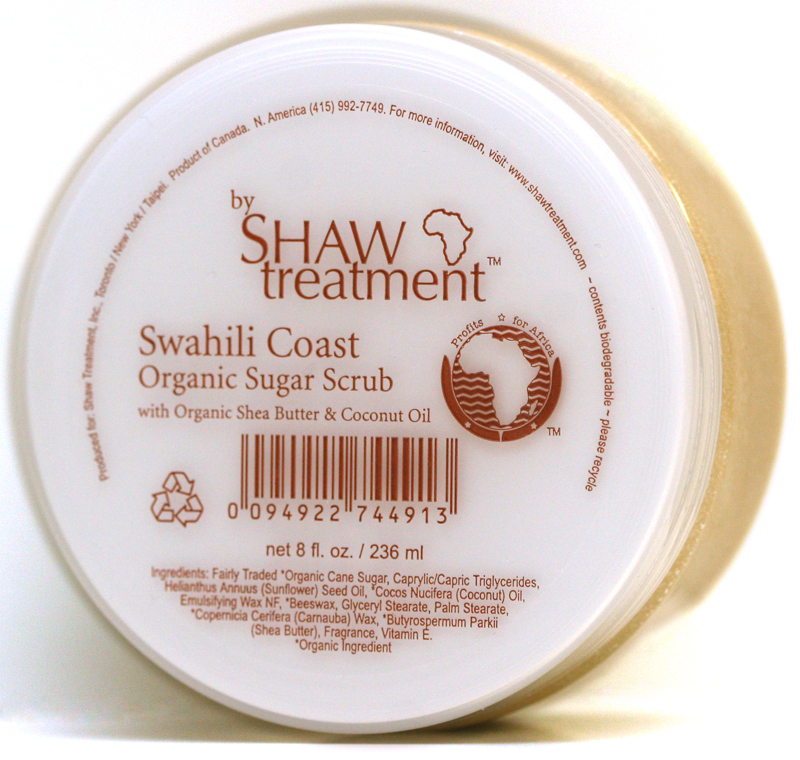 Shaw Treat­ment is a body care prod­ucts com­pany design­ing qual­ity nat­ural & botan­i­cal skin­care prod­ucts that are paraben-free, petroleum-free, grapfruit seed free, & SLS free. As a social enter­prise they are ded­i­cat­ing a por­tion of prof­its to char­i­ties work­ing in Africa! Shaw Treat­ment has a grow­ing line of lotions, mas­sage but­ters, clean­ers, shower gels, sham­poos, con­di­tion­ers, scrubs and more! A social enter­prise founded by wife & hus­band team, Michelle Shaw & Brad Arse­nault. Design­ing and mar­ket­ing qual­ity body care prod­ucts that con­tain nat­ural ingre­di­ents and donat­ing 100% of the prof­its to char­i­ties sup­port­ing relief efforts through­out Africa. Together we are mak­ing the world a bet­ter place. 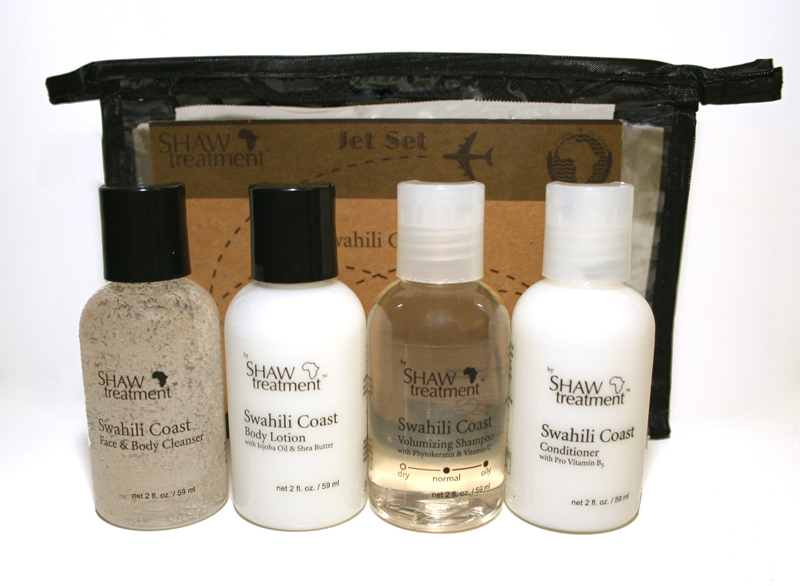 Shaw Treat­ment sent me to review, their won­der­ful Organic Sugar and Jet Sets! These prod­ucts are com­pletely out­stand­ing!! 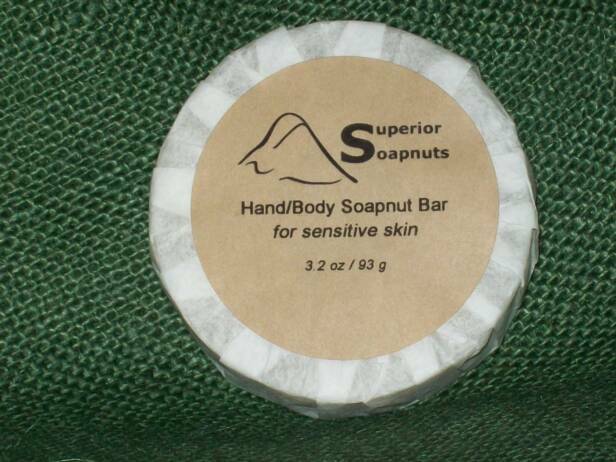 Not only do they smell won­der­ful, I really loved how my skin both felt and looked after its usage!! I totally rec­om­mend Shaw Treat­ment Body Care Prod­ucts to every­one — their prod­ucts are excel­lent and they now have me sold on them!! Direct cus­tomers who may want to find these prod­ucts can visit their site by click­ing here, or you can pur­chase them directly from UPUREA.com (both Canada and US), and GlindaGirls.com (Cal­gary based). Two Jet Sets!! (4 win­ners, 1 prod­uct each of Shaw Treat­ments choice of prize) You will love their prod­ucts just as much as I do, be assured!! 1) First check out the Shaw Treat­ment web­site, and then come back here and tell me some­thing you have learned about this company! Fol­low @coolcanucks and @ShawTreatment on Twit­ter! Leave me your twit­ter name! 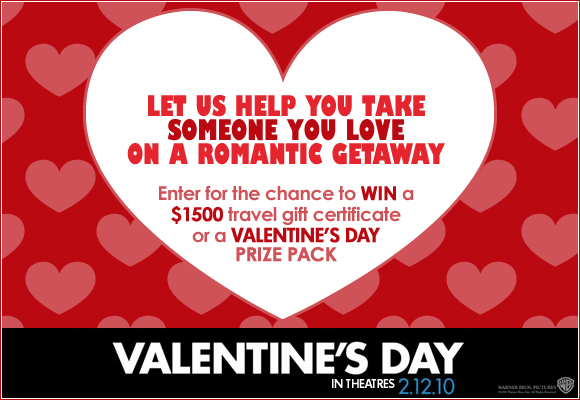 Pur­chase any­thing from Shaw Treat­ment for the dura­tion of the give­away and get 10 extra entries!! Just tell me what it was in a comment! A HUGE Thank you to Shaw Treat­ment for host­ing this great Giveaway!! Canadian Contest ~ Global TV and Sharpie Sends You To The GRAMMY® AWARDS 2011 Contest! Enter this con­test Daily until May 14th, 2010 from Global TV and Sharpie for your chance to win a trip to the 2011 GRAMMY® AWARDS! One thou­sand dol­lars ($1,000.00 CDN) spend­ing money for Grand Prize Win­ner. The Grand Prize has an approx­i­mate value of six thou­sand dol­lars (CDN $6,000.00). Actual value of Grand Prize will depend on depar­ture city. Sec­ondary Prize. There are five (5) sec­ondary prizes (each a “Sec­ondary Prize”) avail­able to be won by the Sec­ondary Prize win­ners (the “Sec­ondary Prize Win­ners”), each of which con­sists of: one (1) ET Canada Flip Video Cam­era. Approx­i­mate retail value is three hun­dred dol­lars (CDN $300.00) each. 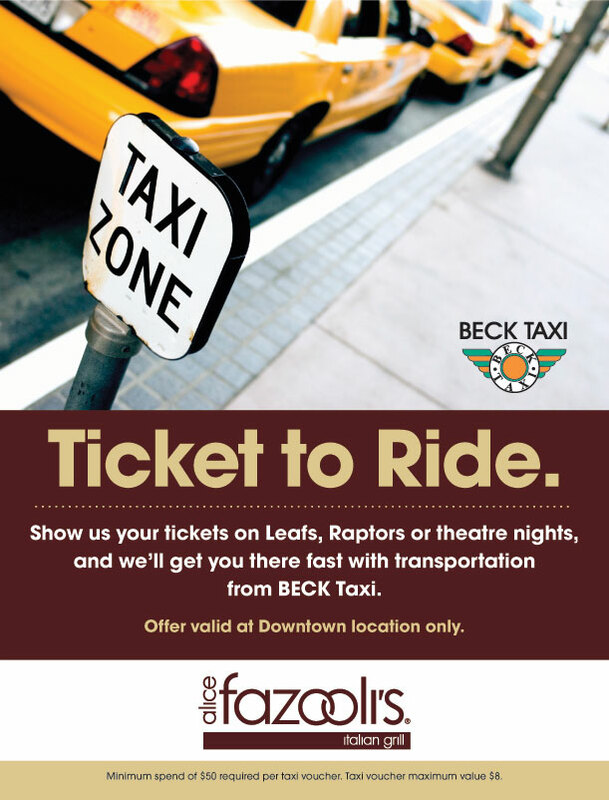 Get a FREE Taxi After Your Meal at Alice Fazooli’s if You Have Rap­tors, Leafs or The­atre Tickets!! This is for Toronto res­i­dents only — awe­some free­bie!! Keep in mind that you must spend $50+ on your meal. This offer is only valid at the 294 Ade­laide St. W location.